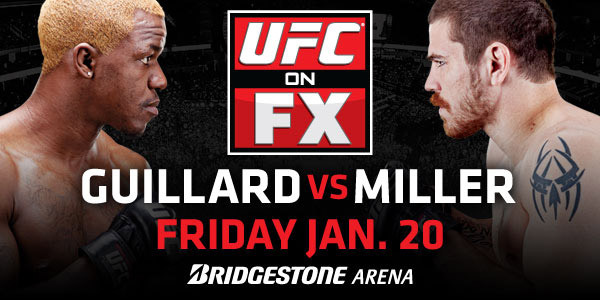 Next week’s UFC on FX 1: Guillard vs. Miller fight card is undergoing some last minute changes. A planned light heavyweight bout between former MFC 205-pound champion Ryan Jimmo and UFC veteran Karlos Vemola has been axed from the card. Jimmo suffered an undisclosed injury, according to UFC officials, who pulled the fight. The other change announced on Friday was the removal of Reza Madadi from a lightweight fight against Fabricio Camoes. Madadi was to make his Octagon debut on the card. No reason was given from him being out of the fight. Camoes was actually a replacement for Madadi’s original opponent, Raphael Oliveira, who fell off the card due to injury. UFC officials said that a replacement opponent for Camoes is forthcoming. This will be Camoes’ second tour of duty in the Octagon. He went 0-1-1, drawing with Caol Uno before losing to Kurt Pellegrino. He has since fought twice for Tachi Palace Fights, most recently defeating UFC veteran Efrain Escudero last May.